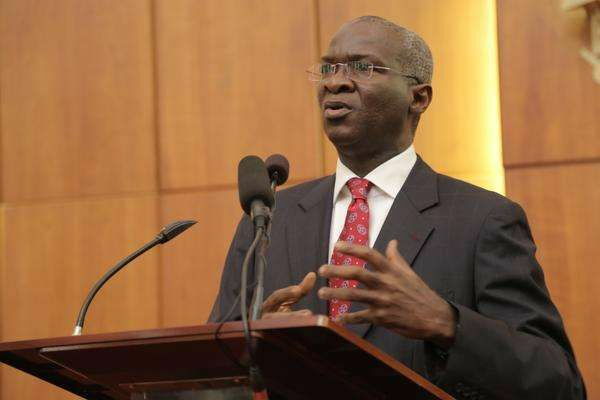 The Minister of Power, Works and Housing, Babatunde Fashola (SAN), has urged Nigerians not to put their country down in comparison with other countries of the world. He described Nigeria as a great country in both population and potentiality for economic and industrial development. Fashola, according to a statement by his Special Adviser on Communications, Alhaji Hakeem Bello, stated this in Abuja during an Engagement Workshop on the Power Sector Recovery Programme (PSRP) for Civil Society Organizations. The event was organized by the Ministry of Power Works and Housing in conjunction with PSRP. He said as a nation Nigeria has taken great strides in the area of development and has the potential to compete favorably with other developed and emerging economies if the citizenry collectively resolved to tackle her identifiable challenges. While responding to questions during the interactive session of the Workshop, Fashola, frowned at the penchant of some Nigerians to put her down in comparison with other countries both in and outside Africa especially in power production. The Minister explained that the power that any country needed was not only a function of its population but also a function of the level of its development and industrialization. The Minister, who took time to explain and respond to questions alluding to the quantum of power available in South Africa and the report that Germany was exporting power, said the power need of a country, also depended on the nature of its economy, pointing out that research and invention driven economies would always require more power. He said that South Africa, whose economy largely depends on mining consumes a lot of power adding that with the Federal Government now paying attention to real growth through economic diversification as seen in the development of mining and others, the nation’s Power Sector is being prepared to support such growth. “We have left mining. We are now in oil and gas. Dr. Fayemi in the Ministry of Mines and Steel is just trying to reset us back. We are trying to support their mining power demands whenever they are ready”, he said adding that in comparing Nigeria with a country like South Africa, one must take into cognizance that while Nigeria is largely a trading economy, South Africa is already producing nuclear energy, aircraft and military hardware, using more power”, the Minister said. Defining the PSRP as “everything that is troubling power”, Fashola declared, “Today and even in the future, if any new problems come up, we will amend it, a new version and put it inside” adding that in articulating the programme, Government did not rely on its experience alone but circulated the document to Parliament for the views of the representatives of the people, to labour, theManufacturers Association of Nigeria (MAN), the Supreme Council on Islamic Affairs (SCIA) and the Christian Association of Nigeria (CAN) as well as other stakeholders.